Boccia is a target sport that tests muscle control and accuracy, demanding extreme skill and concentration at the highest level.Boccia is a tough test of nerve, tactics and skill. Played on a rectangular court by individuals, pairs and teams, the sport offers both tension and excitement, as athletes aim to land balls close to a target ball, across a series of demanding ends. Paralympic Cycling was originally developed as a sport for blind athletes, who first competed using tandem bicycles. Technological advancements have since opened up the sport to a wider range of athletes; as a result, it is now the third largest sport on the Paralympic programme. There are 140 athletes in the competition and it takes place at the Royal Artillery Barracks. The largest sport at the Paralympic Games and there are about 1,100 athletes compete for 170 gold medals across track, field and road events. There are 206 days till the Olympic games start 27 July-12 August and there are 239 days till the Paralympic Games start 29 Aug-9 Sept . 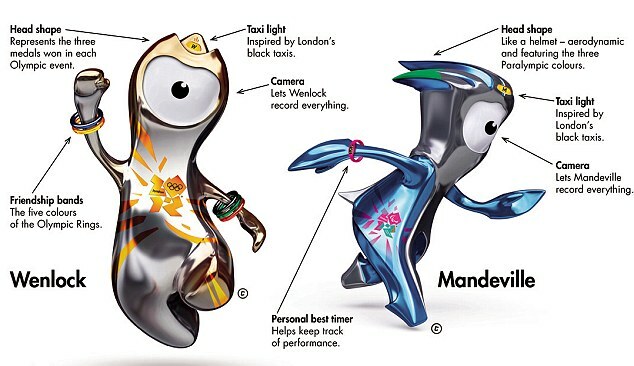 The mascots are Wenlock and Mandeville.